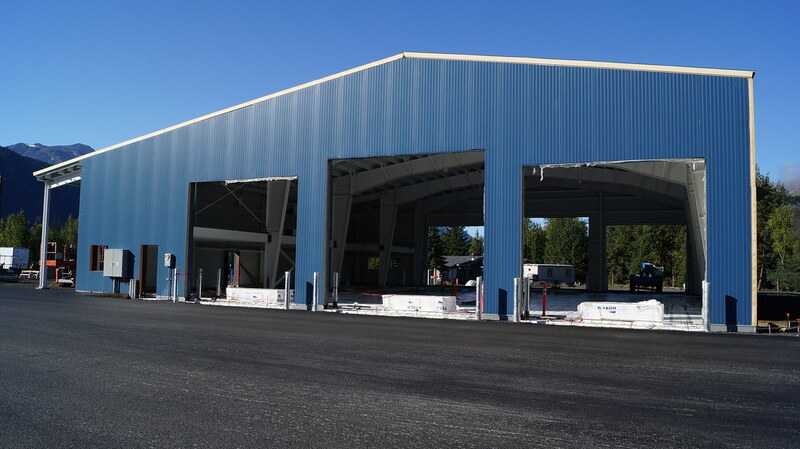 This new facility constructed in 2014 services road maintenance vehicles near Seward, Alaska. The structure is an 8,400 sf pre-manufactured metal building that includes three maintenance bays, accessory office, training rooms, and attached boiler and generator spaces. The shop area includes a pull down and movable exhaust system for vehicles and welding, an overhead crane, and a large vehicle lift. The exterior skin of the building consists of low maintenance insulated metal wall and roof panels over steel building frames. The project also includes the development of the surrounding parcel to include a sand storage pad, drainage pond, and a parking area for the building users. The design for the project is based on a prototype design developed by PDC for a similar facility in Aniak, Alaska. The plumbing system consists of well water for the plumbing fixtures and a septic system for the waste water. A trench drain is provided in the equipment warm storage area which is routed to an above-slab oil/water separator, and then routes to a below-grade holding tank outside of the building. An air compressor is provided for shop air. The heating system uses two cast iron oil-fired hydronic boilers. The main heating system supplies heat for terminal units and radiant slab heat exchangers. 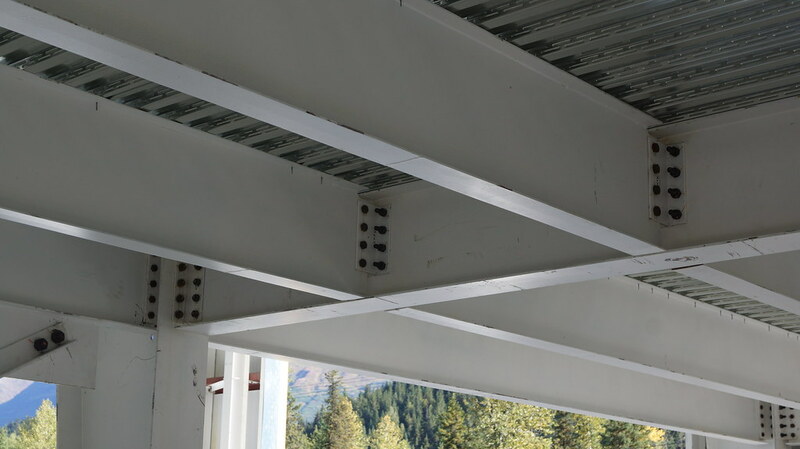 A secondary system heats the floor slab and provides snowmelt for the concrete aprons outside each overhead door. The ventilation system consists of supply air provided by a make-up air handling unit for the equipment warm storage area, and a heat recovery ventilator (HRV) for the administrative area. All building areas are provided with exhaust air to meet IBC, IFC, and NFPA code requirements to remove contaminated air. A DDC system monitors and controls the heat and ventilation. The electrical generator provides complete power to the facility and includes in-line load bank installation for the periodic and annual testing within a space restricted area. Exterior LED lighting is provided for security, parking areas, the fueling station, and the sand storage area while containing light trespass to adjacent properties.